Innokin Zlide Tank, with 2ml e-juice capacity, adopts Z-PLEX3D 0.48ohm Kanthal 3D mesh coil for warmth, coil lifespan, flavor. Easy slide filling design cap child-proof system are also considered in the device. Compatible with all Z-coil line, Innokin Zlide Tank can also be unscrewed for inside component. Here comes new Innokin Zlide Tank, with 2ml e-juice capacity. It adopts Z-PLEX3D 0.48ohm Kanthal 3D mesh coil to increase warmth, extend coil lifespan, and to enhance the flavor of your vaping. Easy slide filling design not only help you avoid leakage problem, but also lower the cost of the tank for you. On the top cap, there is a child-proof system, relative to the mouthpiece. 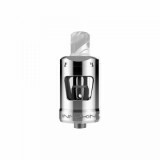 Moreover, the Innokin Zlide Tank is compatible with all Z-coil line and you will find it easy to clean and replace the coil. Importantly, the Innokin Zlide Tank can also be unscrewed for cleaning and replacing the inside component. 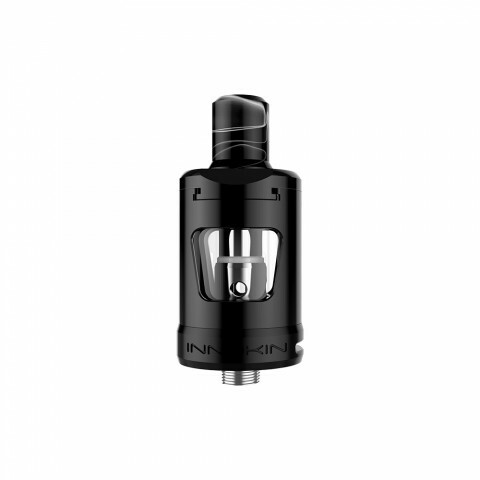 • You may have interest in other tanks like Innokin Scion Tank. • You may need coils, cottons, and other accessories.